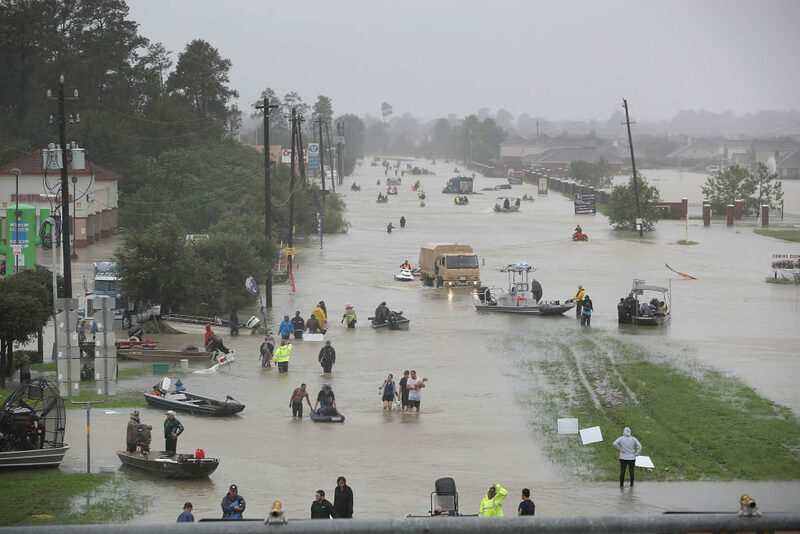 Flooding caused by an increasing number of intense storms is a national challenge and significant source of economic loss, social disruption and housing inequality across the United States, says a new report from Texas A&M University and the University of Maryland. The first to assess the national scope and consequences of urban flooding, the report calls on the administration and Congress to bring together representatives from state, municipal and tribal governments, nongovernmental organizations, and the public to define responsibilities and implement a variety of actions at the local level. Texas A&M University President Michael K. Young said Drs. Sam Brody with A&M’s Galveston campus and Gerry Galloway with UMD have put forth real and immediate measures everyone can take to help ensure millions of people are safe from these disastrous floods. Texas A&M University System Chancellor John Sharp said these researchers have discovered major threats and troubling trends that need to be addressed. Gerry Galloway, Glenn L. Martin Institute Professor of Engineering with UMD’s Center for Disaster Resilience, said urban flooding is a more prevalent problem than many people have thought. “This report affirms that communities across the country are in fact facing similar — and escalating — challenges and that the principal responsibility for addressing the issue rests with local governments where their unique issues can be addressed,” he said. Urban flooding occurs when rainfall runoff exceeds what the landscape can absorb or the drainage system can move. As communities convert more land into roads, buildings, and other impervious surfaces, drainage systems — themselves often aging, undersized, and difficult to maintain — reach capacity faster, leaving flood waters to devastate homes and businesses. “The frequency of these events erodes the economic stability, health, and safety of a community over time. And the impacts can be felt miles from a stream channel or water body,” said Sam Brody, director of the Center for Texas Beaches and Shores on the Galveston Campus. To characterize the extent and impacts of urban flooding in the United States, the Center for Texas Beaches and Shores at the TAMU Galveston Campus and UMD’s Center for Disaster Resilience surveyed stormwater and floodplain management practitioners with knowledge of more than 350 municipalities in 48 states. The survey was also supplemented by multiple discussions with government agency and professional organization focus groups. The team also discovered that more than 25 percent of National Flood Insurance Program claims filed in 1972-2014 were submitted for properties outside the 100-year flood zone — in some neighborhoods, all flood impacts occurred well outside of these boundaries. Overall, the results suggest the much of the damage incurred over the last several decades was caused by overwhelmed drainage systems and the alteration of natural drainage patterns through development. Despite the growing extent of the threat, Brody, Galloway and their collaborators report that many municipal governments have been unable to dedicate the resources needed to mitigate urban flooding. At the federal level, no single agency is responsible for overseeing or supporting local activities. “It is also apparent that many people who live and work in flood-prone urban areas don’t know the risks,” he said. Congress, the administration, and federal agencies, the report said, must take strategic steps to support locally led mitigation efforts. For example, the administration should establish a risk identification grant program and federal agencies should integrate urban flood risk communication into existing programs for riverine and coastal flooding. Galloway, Brody, and their team also recommend that the administration and Congress tap a single federal agency to provide oversight of federal mitigation support while the forum of national stakeholders is stood up. This study was completed through financial support from the Hagler Institute for Advanced Study at Texas A&M and the A. James Clark School of Engineering at UMD. Samuel D. Brody is a Regents Professor and holder of the George P. Mitchell ’40 Chair in Sustainable Coasts in the Departments of Marine Sciences and Landscape Architecture and Urban Planning at Texas A&M University. He is the Director of the Center for Texas Beaches and Shores and the Lead Technical Expert for the Governor’s Commission to Rebuild Texas. Dr. Brody’s research focuses on coastal environmental planning, spatial analysis, flood mitigation, climate change policy, and natural hazards mitigation. He has published numerous scientific articles on flood risk and mitigation, and recently authored the book, Rising Waters: The causes and consequences of flooding in the United States published by Cambridge University Press. Dr. Brody teaches graduate courses in environmental planning, flood mitigation, and coastal resiliency. He has also worked in both the public and private sectors to help local coastal communities adopt flood mitigation plans. For more information, please visit www.tamug.edu/ctbs. Gerald E. Galloway, PE, PhD is a Glenn L. Martin Institute Professor of Engineering, Department of Civil and Environmental Engineering, University of Maryland, a Faculty Fellow of the Hagler Institute for Advanced Study Texas A&M University and a visiting professor at the A&M Galveston Campus. His teaching and research focus is on water resources policy, resilience, and disaster risk management under climate change. He serves as a consultant to several international, federal, state and non-governmental agencies and has been involved in water projects in the U.S., Europe, Asia and South America. In 1993, he was assigned to the White House to lead the study of the Great Mississippi Flood of that year. He is currently a member of the Maryland Coast Smart Council. In 2014, he was appointed chair of an international panel of experts to examine the flooding threats to Florence, Italy and by the government of Singapore to a panel of experts advising on sea-level rise challenges. He is an elected member of the National Academy of Engineering, the National Academy of Public Administration, and the National Academy of Construction, and a 38-year veteran of the U.S. Army who retired as a Brigadier General and Dean (Chief Academic Officer) at the U.S. Military Academy at West Point. Media contacts: Keith Randall, keith-randall@tamu.edu, 979-845-4644, or Melissa Andreycheck, mandreyc@umd.edu, 301-405-0292.